Chef Richard Blais' second collaboration with Mike Rosen, The Crack Shack, is set to hatch this November next door to their acclaimed Juniper & Ivy. The fast casual concept will embrace the fried chicken trend and feature all day chicken and eggs with a menu conceptualized by Blais and Juniper & Ivy's Chef Jon Sloan. Get ready for egg and fried/grilled chicken sandos with house-made sauces, chicken fat fried french fries, chicken fried farro and revolving soft serve in flavors like smoked vanilla and mole with churros on top. Craft sodas and booze will be available to wash it all down. 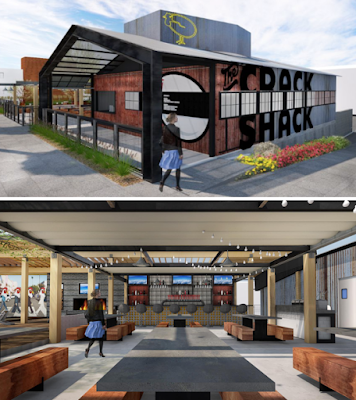 The Crack Shack will be located at 2226 Kettner Boulevard in Little Italy. For more information, visit crack-shack.com and follow on Facebook.